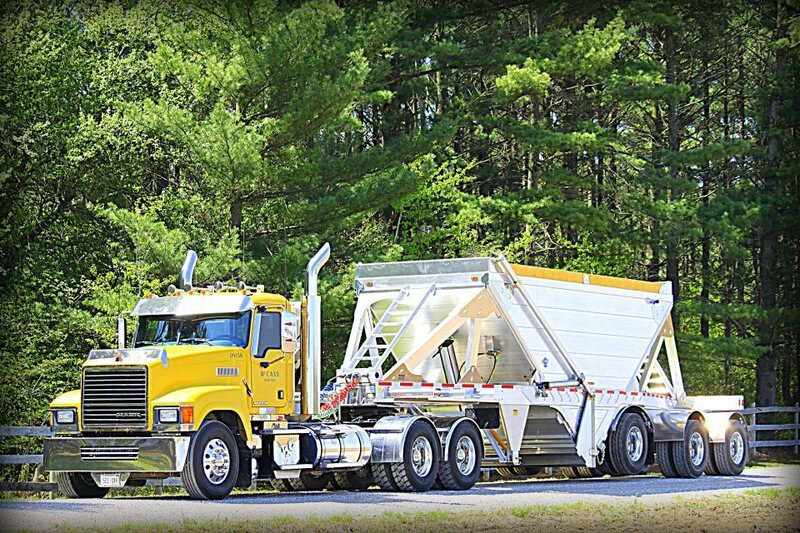 McCann RediMix operates a full fleet of material hauling trucks including dump trucks, trailers and hoppers. Trailers - Up to 36 tonne haul weight. Hoppers - Up to 36 tonne haul weight. Great for laneways and roadways as it is unloaded evenly out of the bottom of the trailer. Due to fleet size and project flexibility, for most situations we are able to deliver material the same day it is ordered by the customer.